It seems like I've been writing a lot about food lately. We've seen how lean techniques can be used to bring food to your table, whether it's Vietnamese Pho or a top chef preparing a dish. I hope all this food talk doesn't make me less lean. Ha! It's easy to visualize the process of how we make food. It's something even I'm intimately familiar with. Although I can't cook much beyond eggs and hotdogs, I've seen many people cook, and enjoyed the results! But what about the "back end" of food preparation? Can we use lean methods in the handling and storage of food before it gets to our kitchen? The answer is an obvious YES! Warehousing and storage of food is a big business and lean techniques are especially critical with food items, since they have a limited shelf life. A large food warehouse is similar to any other manufacturing process. Some might argue that warehousing in and of itself isn't lean. Inventory is a cardinal waste, right? However, inventory in the right spot, at the right amounts can help level production and keep supply lines humming at a regular pace. This next video isn't about applying lean to large supply chain system, though. Lean principles can be applied at any level, even at a small storage facility, like your local food bank. Food banks have unique challenges, due to the nature of how stock comes in and goes out and the ever-changing work force. Donations come in small and large batches. Many food banks aren't open every day, only at certain times during the week. Helpful volunteer arrive to pitch in and make a difference, but they come fresh and need to be trained. They don't always have the same number of people working and the experience level of the people is different every day. In order to make this work, some kind of system is critical! That's why I love the following video. 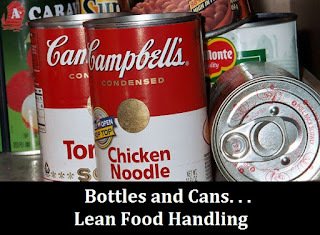 Lean principles are applied to what is essentially a simple order picking process at a food bank. No fancy equipment or electronics are used, just a few shopping carts and a bunch of willing, helping hands. Each person is in charge of a station (batch of food), and they pass the carts around from station to station, filling them up with the correct amount of food. This system is simple, yet effective. By separating the packing process into steps, it's easy to work on each step individually. New people don't have to understand the entire process, they can be assigned a small task that's easy to understand. Your job today: "Put three of these cans into each shopping cart and send it along to the next station." Even I could handle that! 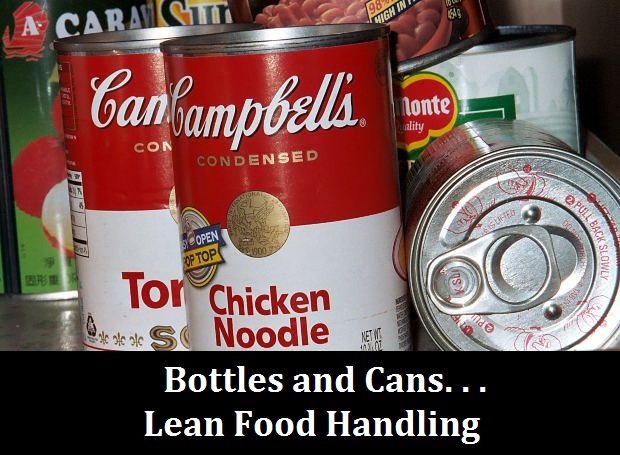 Watch the following video, lean manufacturing applied to a food bank. 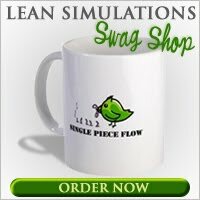 I've added this video to my collection of free lean videos!